We can help you with immigration to Comoros. Comoros is an Island nation in the Indian Ocean northwest of Madagascar. The Comoros Economic Citizenship Program is a legal naturalization program based on changes to the Government law made in 2008. How long does it take to Invest to become a Citizen of Comoros? 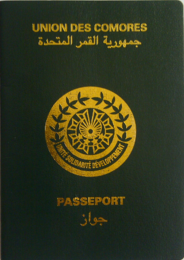 WEEK 1: Submit passport copy and questionnaire for pre-approval. WEEK 2: Submit the required documents. WEEK 3: Client meeting for photos, fingerprint and signature scanning by government offical. WEEK 6-8 Passport and citizenship certificate issued. Please note that from 01 June 2015 the government fees for the main applicant are increased from 40,000 to 45,000.